We were invited to Singapore Science Centre for the “Titans of the Past” pre-launch party. 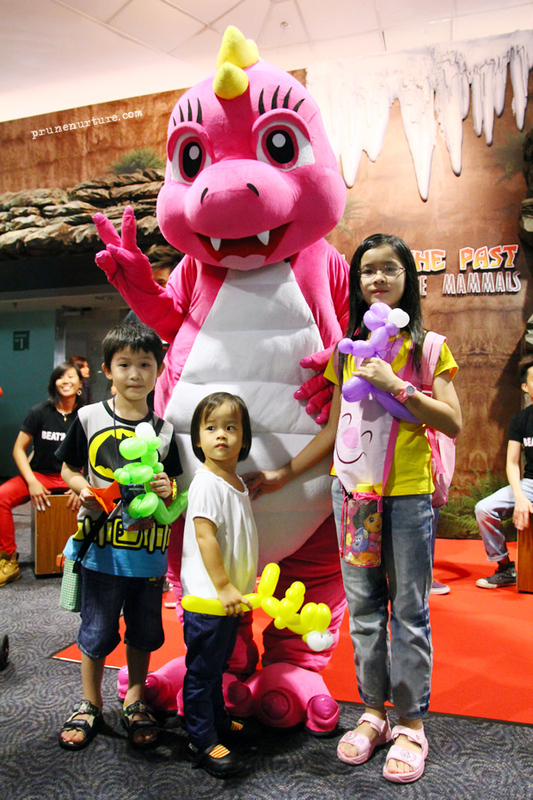 The Titans of the Past – Dinosaurs and Ice Age Mammals exhibition will be held from 25 October 2013 to 23 February 2014. Jay and I brought Dot, Joey and Jensen to this party and they had a great time. 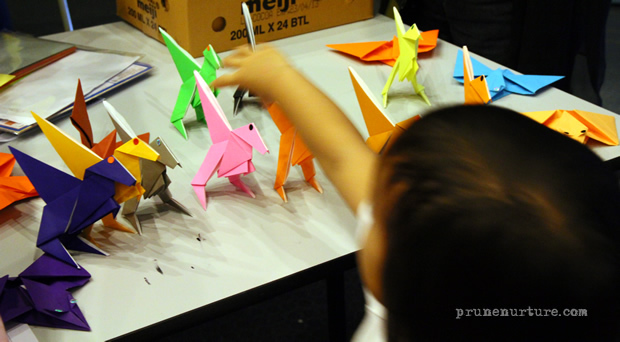 The dinosaur-themed children activities kept the children entertained. 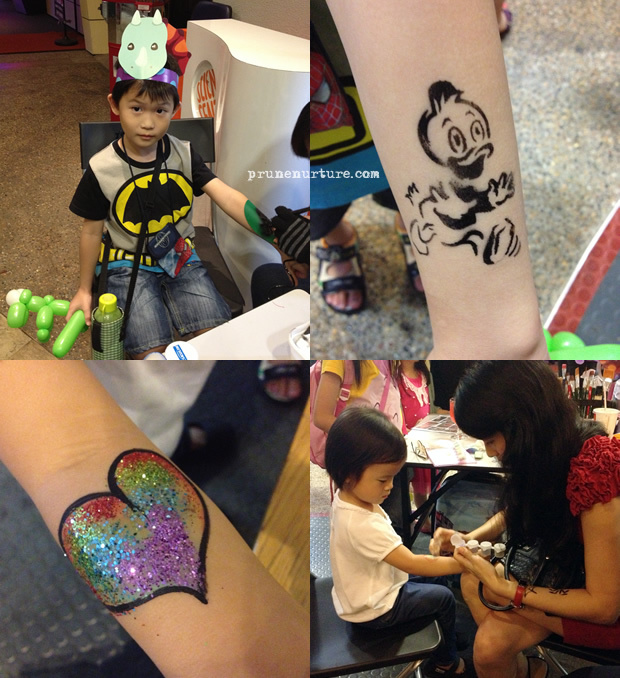 They queued patiently for their dinosaur balloons and hand painting. Dot had her pick of the dinosaurs. She quickly zoomed in to pick her favourite pink T-Rex. 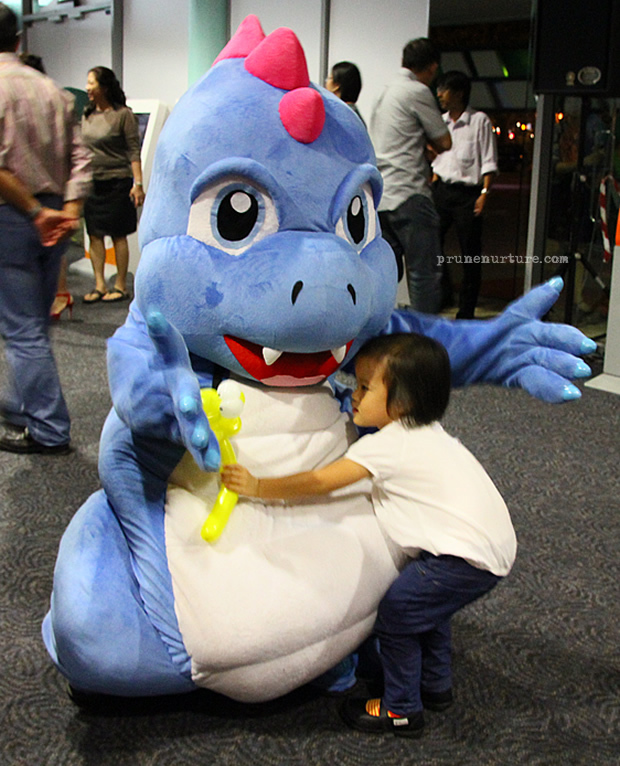 Dot loves to take pictures with the dinosaur mascots. We were already into the exhibit hall and yet she still urged me to bring her out again so that she could take picture and hugged one of them. And we did. 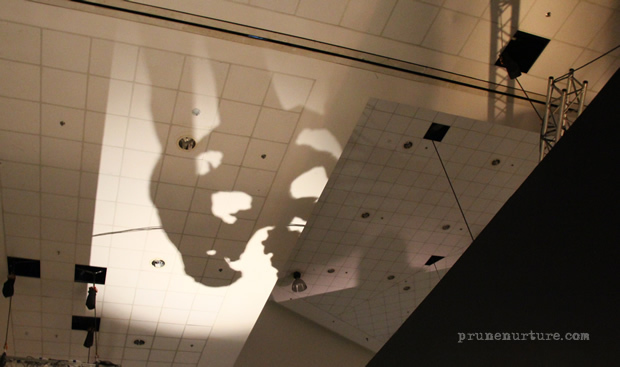 The moment we stepping into the exhibition hall, the shadow at the ceiling caught Dot’s attention and she asked her dad what was that on the ceiling. Looking exciting! More on the exhibits in my next post.